Singapore has such a large variety of food, and Singaporeans have very healthy appetites. Local dishes can be found anywhere from hawker stalls, food courts and centers and even in coffee shops. As an expat you will want to try some of the favorite dishes from Singapore. Today's dish is one of the most popular and is a staple on the local menu, it is also considered Singapore’s ‘national’ dish. Yes, it is Hainanese Chicken Rice, also commonly called Chicken Rice. Today our featured video and recipe is from Angel Wong's Kitchen. Now, if you are willing to try making the popular dish at home you can use this recipe. Boil and blanch the chicken for 1 - 2 minutes, then remove and rinse with cold water. Reboil the chicken for 30 minutes (soft boil). For the full preparation method and instructions have a look at Angel Wong's video. 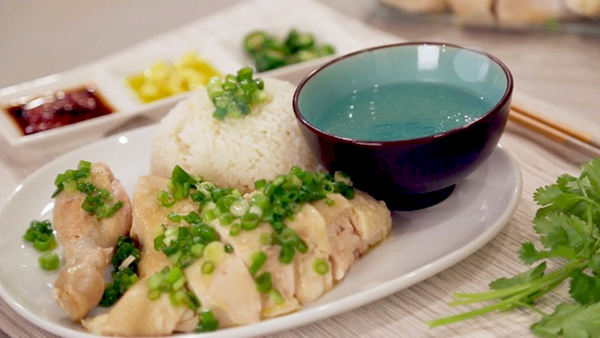 Have you ever eaten Hainanese Chicken Rice? We would love to hear from you about your experience. Do you have another version of this recipe? Want To Try Indian food? Why Not Start Healthy?